Choosing some of the most expensive luxury real estate in Dubai can be a tricky process. The city is home to gorgeous penthouses, stunning beachfront homes and richly designed villas. As difficult as the choice is, we have managed to narrow down our five favourite properties in the luxury sector. All of the homes are currently occupied with great views, stylish interiors and make a perfect design statement. 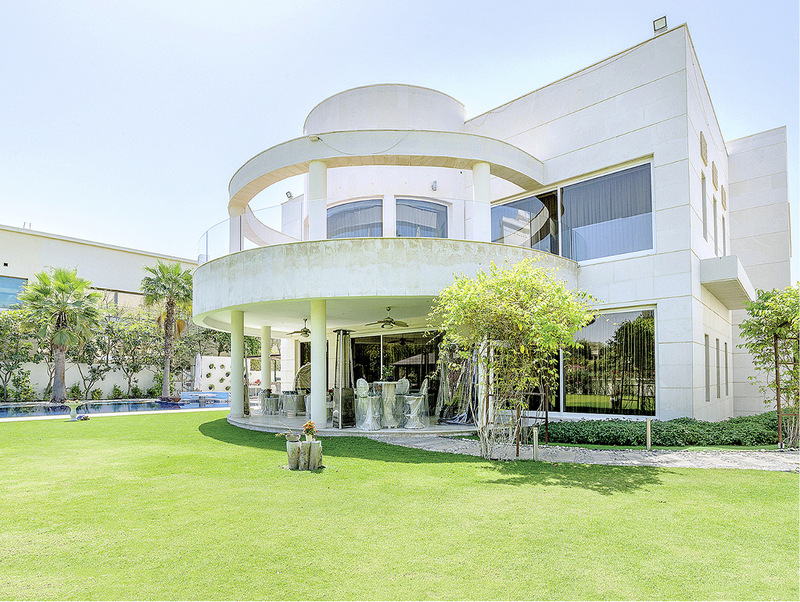 This five-bedroom villa has the best views of the Address Montgomerie golf course. It boasts of a landscaped lawn and driveway. There is an open double living room and dining room with sliding wooden doors. A very large master suite welcomes you and you find a curved first-floor balcony with plenty of entertaining space and an amazing view of the Dubai skyline. The property also has a games room, lounge and disco in the basement. There is a pool deck with dining area and sunken seating, plus a garden and basketball court. This is one of the most exquisite residential towers in Dubai Marina. It has a full floor royal penthouse, four bedrooms and triple-sized living room with incredible views of Dubai Marina. One finds a private study with lounge area and kitchen that has space for a second dining room. The master en-suite bathroom has a jacuzzi, marble countertops and flooring. The property boasts of parquet floors in bedrooms and wood shelving and cabinetry. It is close to luxury hotels and JBR. A six-bedroom villa with modern Arabic design. It boasts of marble countertops and flooring in the main living areas. There is a combination of parquet and carpeting in the bedrooms, a large dressing room and well-designed kids’ rooms. The property also has a gorgeous pool terrace with beautiful views of Dubai Hills Golf Course and Downtown skyline, including Burj Khalifa. All villas in Dubai Hills Grove are delivered shell and core, though for villas, such as this, with all interior work completed, the price can exceed Dh85 million. This is a six-bedroom villa with full home automation. The interior design is by Visonnaire, Fendi Casa and Minoti. The villa has three custom-designed kitchens that look like works of art, featuring Miele appliances. The master bedroom has a retractable 4K cinema screen. There is also a private cinema room with 4K 3D screen and 7.1 surround sound. The pool deck has sunken seating, fire pit and outdoor dining area. There is also a large roof terrace with complete outdoor entertainment setup. This is a stunning five-bedroom family villa, close to the Crystal Lagoons. It has a contemporary exterior, while the interiors boast of Swaroski crystal lighting, marble flooring and wall finishes, dark wood shelving units, and a custom-built kitchen with Gaggeneau appliances. One bedroom has been converted into a fantastic dressing room. The balconies have amazing views of the downtown skyline, the garden and pool patio.